This is 18-year-old Nonoco. 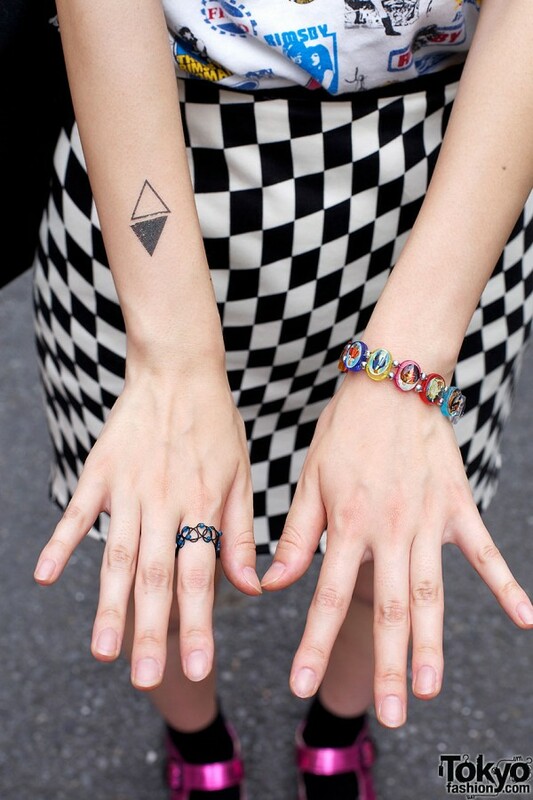 Her outfit includes a resale t-shirt featuring a retro pinup print and an op art checkerboard skirt that’s a remake. 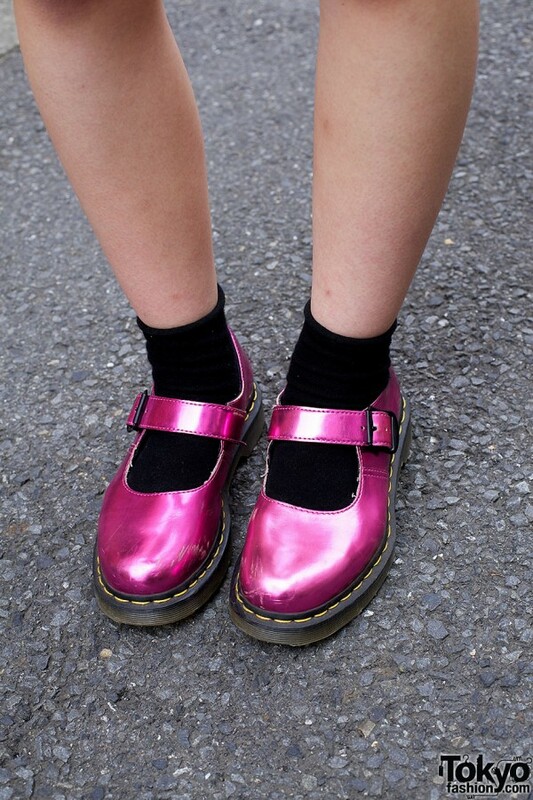 Her fuchsia metallic Mary Jane shoes are from Dr. Martens. 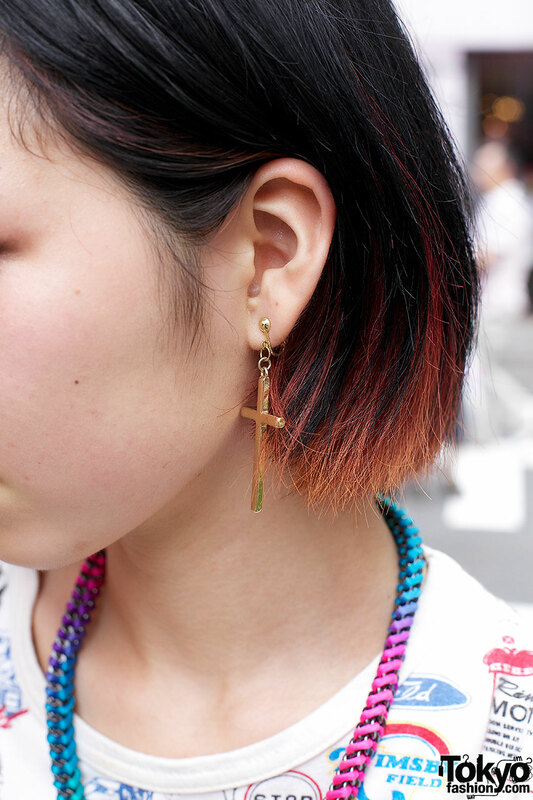 Nonoco has accessorized her outfit with items from Pin Nap and other shops, including a single gold cross earring, a rainbow coil necklace, a beaded wire ring and one of the icon charm bracelets we’ve see around Harajuku this year. 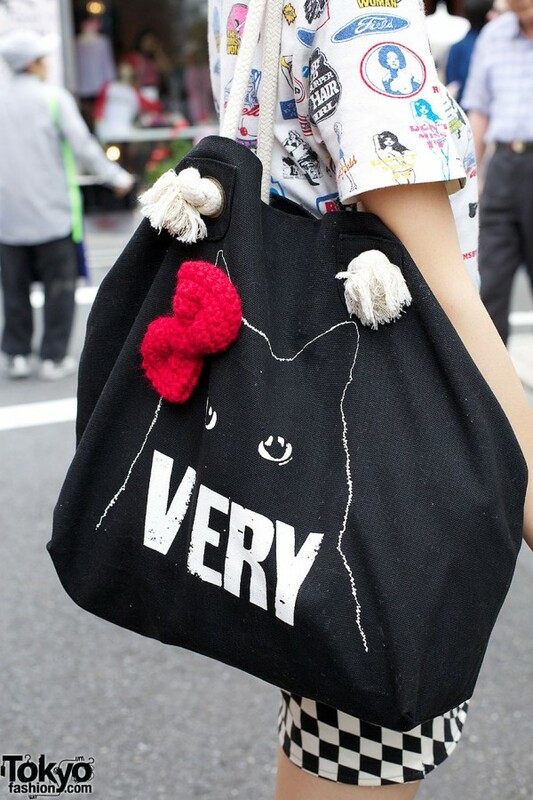 Her black fabric bag from Very Brain features a kitty print and a red crochet bow. We ask Nonoco about her favorite place to shop and she told us she likes Nadia. Hey! There’s Julia in the background hahaha! 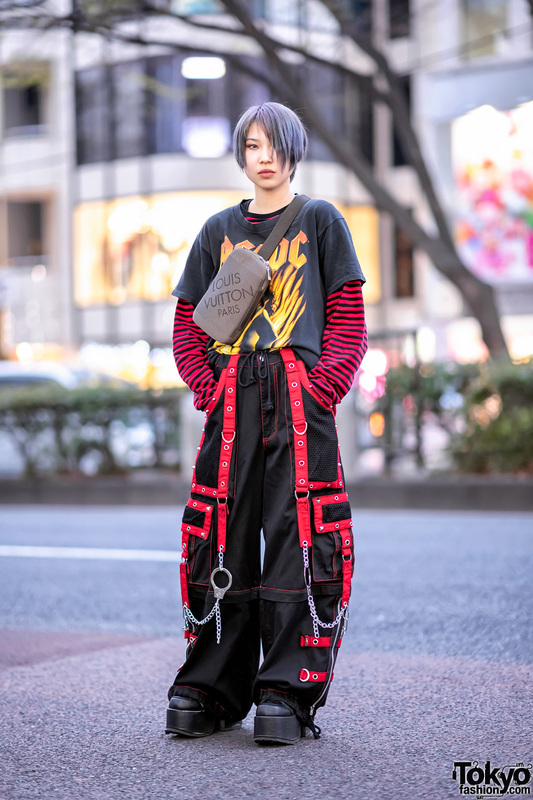 Love the look, especially the look of the girl in the background with the platforms and what looks like circle lenses. Woaw her hair are prettyyyyyy !!!! Loving the skirt and dip-dyed hair.